In the face of rapid technological progress and continually growing global competitive pressure, systematic improvement of what currently exists is of immense importance for success in the future. 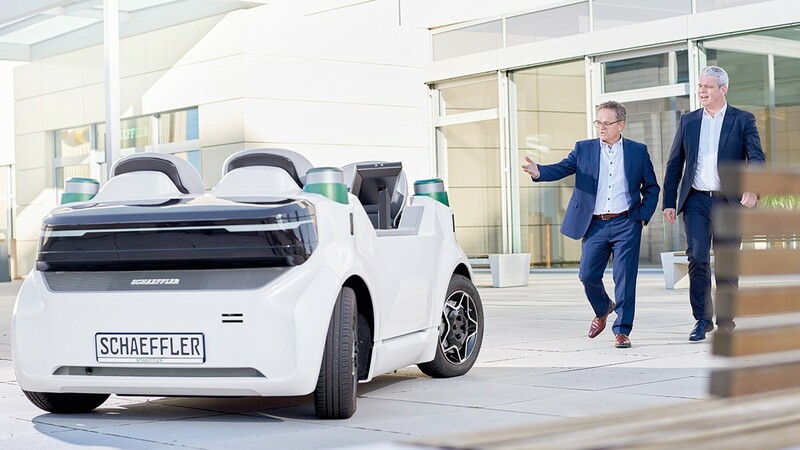 As a company looking to the future, Schaeffler places particular emphasis on investing in research and development. Worldwide, around 8,000 employees work at 20 research and development centers, in close partnership with customers, on new solutions with technologically and economically convincing benefits – for example in the fields of materials, tribology and coatings. In the year of 2018 alone, this commitment led to more than 2,400 new patent registrations. As a result, Schaeffler is among the leading companies in Germany in terms of inventions. Schaeffler is a world leader in competence for functional surfaces and coatings. With the expansion of the Centre of Competence for Surface Technology at Herzogenaurach, Schaeffler has increased its capacity in the field of development and application of coating technology – with the objective of further extending its technological and market leadership in this field. 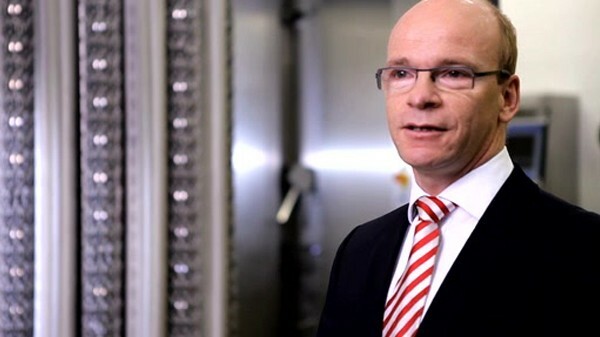 The Centre of Competence for Surface Technology opened in 2007 and has shown highly successful development in recent years. One piece of evidence: since then, sales of coated parts have increased by more than 50 percent. We now offer an extensive modular range of concept that allows us to design the surfaces of components and systems in precise accordance with the specific requirements of our customers. Our systems increase the lifetime of components and offer protection against wear, corrosion and electrical current passage. In addition, they reduce friction and thus make a considerable contribution to conservation of resources and energy efficiency. The latest developments allow the use of multi-functional and sensory coatings. With our technical resources and our know-how in processes and applications, we are able to provide samples at an early stage in the development path and achieve direct, robust implementation of these in a volume production environment. This is true both for relatively small batch sizes for industrial applications and for the production of millions of pieces typical of the automotive industry. One example: Triondur CX+. 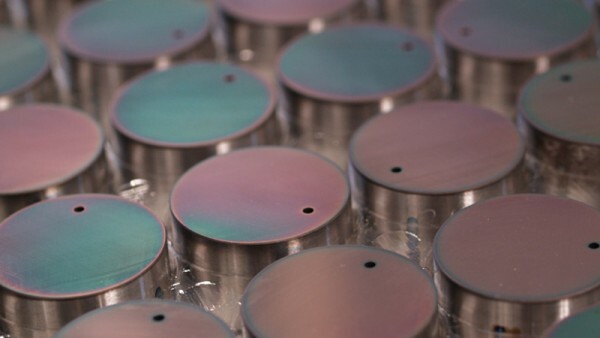 This new type of coating system makes it possible to reduce by half the friction losses in car valve trains over the entire lifetime in closely coordinated interaction with the engine oils used worldwide and thus achieve valuable savings of one to two percent in CO2 in cars. Through the use of Triondur CX+, rolling bearings can run free from wear and with only low friction under extreme conditions. In this way, the friction values in spherical roller bearings can be reduced by 45 % and the bearings exhibit low friction values even under lubricant starvation that would otherwise only have been achievable with a good level of lubrication. Since it is only necessary to apply a coating to one of the friction surfaces, such as the tappet or the bearing rollers, Triondur CX+ can be used economically and in a modular fashion. This innovative strength and the added value for the customer are reflected in the rapid progress of the coating system across the market and in the the continually rising quantities, which are already at more than 20 million pieces per year. "I believe innovation means market leadership through technological leadership in products and processes, through profitable components and systems that provide added value for our customers by means of functional surfaces." What was the starting point for the development of these innovative coating systems? Our innovative engine and rolling bearing components are subject to increasingly demanding operating conditions, which was causing more and more surface wear. For this reason, we took the step of optimizing surfaces in the places where friction and wear occurs, and we focused on developing new coating systems that combine minimal friction with maximum resistance to wear and, due to their thickness of only a few microns, make innovative lightweight construction concepts possible without requiring additional space. Please describe the main features of this innovation and explain the applications it has. Our innovative adamantine coating systems carry the Triondur® brand name. The good thing about this system, and also the reason why it is so cost-effective, is that only one friction partner needs to be coated. In the case of a rolling bearing, for example, it is usually the rolling element that is coated, as this is simultaneously in tribological contact with the cage and with the inner and outer ring. At the Surface Technology Center, we support our customers and Application Engineering throughout the entire process: From application support and development to sample coatings here at the Surface Technology Center and implementation in the volume production process. We delivered approximately 75 million components with Triondur® last year, and we are thus able to halve the friction that occurs in vehicle valve trains and thus reduce each vehicle's CO2 emissions by a valuable one to two percent. What does innovation mean for you personally? I believe innovation means market leadership through technological leadership in products and processes, through profitable components and systems that provide added value for our customers by means of functional surfaces. 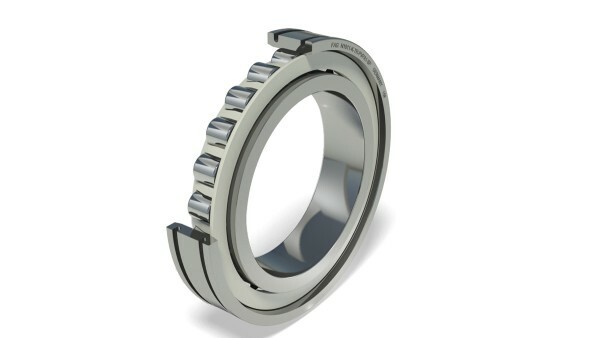 The demand for rolling bearings that are characterised by very high performance capability and operating life even under extreme conditions has increased significantly in recent years – not least because of the tightening of legal framework conditions, the growing awareness of sustainability and the drive towards energy-efficient, robust solutions. 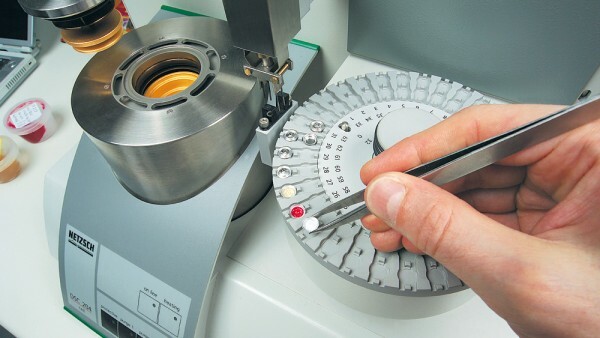 Schaeffler has been offering answers to these diverse requirements for many years. Through the use of ceramic rolling elements, which generate less friction, it is possible to achieve higher and higher speeds, which makes these new developments suitable in particular for aerospace applications as well as for machine tools. The robust nature of ceramic rolling elements can be seen clearly from the example of a spindle bearing: the new high performance spindle bearing series RS and the thermally robust cylindrical bearing TR combine very high speed capability with high load carrying capacity and resistance under a wide variety of operating conditions. Furthermore, the innovations have the effect of simplifying design and mounting as well as optimising lubricant distribution. Cronitect is a high performance corrosion-resistant steel developed by Schaeffler which allows rolling bearings to run under extreme conditions, for example in contact with corrosive media (water, acids, cleaning agents) or in dry running – either in a sealed version or without seals. Cronitect is a steel suitable for martensitic hardening which, due to its chemical composition, can be combined with a new thermochemical surface hardening process to give very high hardness with very high corrosion resistance. Cronitect completes the salt spray test in accordance with DIN 50021 SS without any problems, even after 600 hours. Its corrosion resistance is thus several times better than that of conventional corrosion-resistant steels. Schaeffler also has convincing innovations in the sports sector: smooth running characteristics, low friction and corrosion resistance make the new Cronitect hybrid rolling bearing the first choice for inline skaters and for bottom brackets on premium racing cycles. This is made possible by the materials combination of bearing rings made from the high performance steel Cronitect we have developed together with ceramics for the rolling elements, an optimised ball raceway geometry and an extremely low-friction sealing concept. As a leader in technology and innovation for rolling bearings, Schaeffler is continually driving progress in this field – and continues to set new standards in tribology, the study of friction, lubrication and wear. The service function Tribology works on methods for preventing friction and the resulting wear as far as possible. We use our extensive know-how relating to optimum rolling bearing lubrication for specific applications to provide dedicated solutions. We provide our customers with skilled, comprehensive advice in selecting the appropriate lubricant – for each application. There is even more: where necessary, our experts will also develop and test completely new lubricants. In doing this, we take account of all the relevant parameters: the special features of the application, cost-efficiency, operating life, sustainability etc. On the basis of our well-founded knowledge in the field of lubricants, we can achieve tribological solutions that set standards for others. We work in close partnership with leading research institutes and mineral oil companies. In addition, our medias® software offers a unique global product selection and information system for determining the optimum lubricant in the specific application.